Toni Sailer, Ingemar Stenmark, Jean-Claude Killy, Alberto Tomba, Hansi Hinterseer, Marcel Hirscher and Felix Neureuther – the biggest names in skiing have given the sport a rich past and have made skiing history on the Ganslernhang in Kitzbühel. Since the first Hahnenkamm Slalom took place in 1931, numerous skiing legends have had their names inscribed onto the list of champions. For slalom skiers, there was and is nothing greater than racing to victory during the Hahnenkamm weekend in front of thousands of enthusiastic spectators. 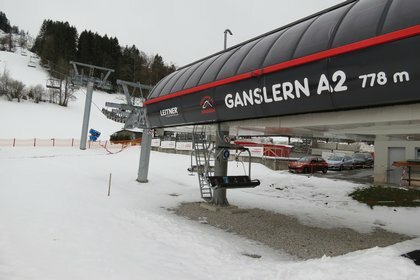 The slalom artists have now been immortalized by an art project on the legendary Ganslernhang itself. Each Hahnenkamm Race has a poster dedicated to it on one of the chairs of the four-seater chairlift. 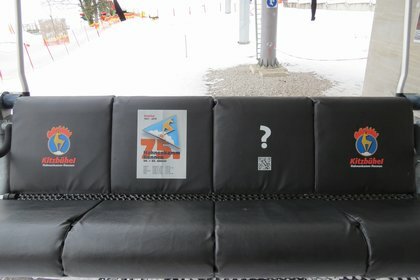 These posters provide information about the victorious nation and the winning time as well as an interactive QR code that takes visitors directly to details of the winner. The project has turned the Ganslern lift into a gallery of historical art posters. 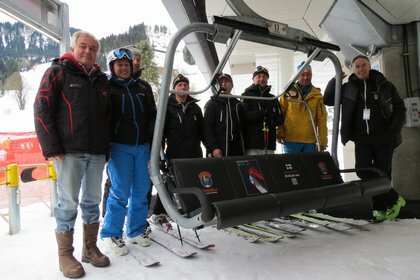 LEITNER ropeways is using this exciting campaign to emphasize its close and long-standing cooperation with Bergbahn AG Kitzbühel and the Hahnenkamm Races.